OCEANSIDE, Calif.- Club Tijuana Xoloitzcuintles is always looking to be part of the top competition throughout the region. And it does so at any level. 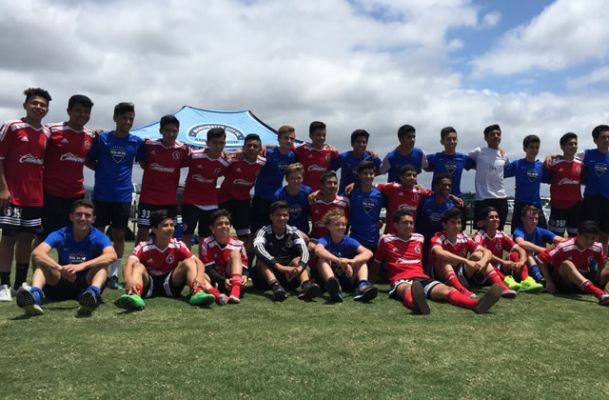 That is why the Xoloitzcuintles entered to compete in the Manchester City FC Americas Cup in Oceanside, Calif. Club Tijuana opened the tournament with a 3-3 draw against Real So Cal of the San Fernando Valley in Under-14 competition. Xoloitzcuintles coach Edgar Cano was not disappointed with his team’s performance. The young Xoloitzcuintles will continue in the exhibition bracket of the tournament with a match against Pateadores Sunday. Club Tijuana will finish the competition with a game against the San Diego Surf Monday May 25. “I hope our next rivals are very good teams,” Cano said of the upcoming matches. “I don’t know how good they will be but the tougher the opponent the better it is for our team. The Americas Cup is part of a partnership between English Premier League and the San Diego Surf youth club. Manchester City coaches and personnel were present at the tournament, which included more than 200 teams from throughout the United States. And in the Xoloitzcuintles case, from Tijuana, marking the club’s commitment to being a regional team at the grassroots level.